The well known ‘prophet’ was instructing the audience before he entered the healing and prophesying part of his service. “You don’t have to respond the FIRST time God speaks to you. 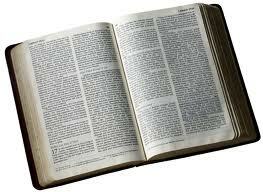 The Scripture says, that in the mouth of two or three witnesses let every word be established. He didn’t want to be known as a Word preacher, because he was used in the gifts! Regardless, he misquoted and misapplied Scripture. I stared at him in disbelief. Many hundreds of people sat in the audience. They’d come to be prayed for and this guy was telling them they didn’t have to respond when God spoke the FIRST time. Most of my children and family sat with me in that service on the second row. Right in front of him, I pulled a notebook out of my pocket and began to write. “When God created the heavens and the earth, He spoke it into existence. He only said it once and all the elements of the world responded immediately. “God only told Noah to build the Ark, one time. I passed the note to my children and had them read it while he was preaching. I saw the preachers eyes follow the note and could tell he knew I disagreed with him. He moved away from in front of me because he could tell I was an unbeliever of that doctrine. I didn’t care. The Bible disagreed with him too. What alarms me deeply is that of late I have encountered Pentecostal preachers in several states that preach this very doctrine. It is suicidal to believe and practice this. It is false doctrine. Do not be deceived. Some nationally known preachers that we would call ‘good men’ believe this and are wresting the Scriptures. Remember!! When God Speaks… (the FIRST time) … Respond Immediately! He created worlds with one command. He calmed the raging sea with one command. He raised the dead with one command. He healed the sick with one command. He forgave sins with one command. He cleansed the lepers with one command. He opened blinded eyes with one command. It makes no difference if it’s in regards to Salvation, Healing, Holiness, Righteousness or to Brotherly Love. God shouldn’t have to speak the second time to anyone. Sounds like a disrepectable attitude to God. I wouldn’t take any chances waiting for the second call. It might not come. Amen and sho’ nuff amen my Brother! Keep up the good work! Do we have ANY BODY IN LEADERSHIP, at headquarters, that has the guts to call these characters on this? Sis June is right. What IF God only speaks once to you?!!! How scary he is preaching this & people are believing it!! Thanks for always being straight as an arrow in the things of God, my dear brother!! You do our father proud!! I can’t believe that anyone that calls himself a man of God can have such a nonchalant attitude about what God says. WOW. I just do not understand, nor can I relate to some of the things I am hearing accross Pentecostal Pulpits. Dear I. H. Terry would be up in arms! LOL@SteveEpley! I loved Bro Burr… GREAT post Bro Ballestero; I’m in agreement with you!